Maintaining our dedication to the Peabody community, we will continue to refine our quality, expand our capabilities, increase our efficiency and elevate the superior level of customer service we provide to heighten the standard of excellence we have set in the industry. We at Maddy's Car Wash believe in building strong relationships by getting to know each other individually. We are Eco-friendly and recycle our water which saves our city millions of gallons of water each year. Maddy's Car Wash also gives back to the community by donating to events for local schools and charities. 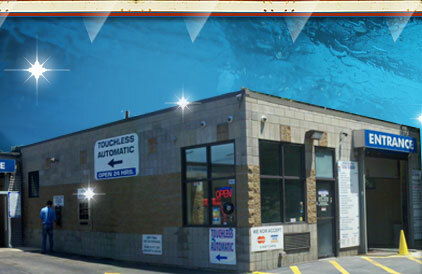 Our State of the art touchless automatic car wash, uses the highest quality products. Delivering clean, dry and shiny vehicles in our all soft cloth tunnel is our goal at Maddy's Car Wash. We have developed a unique wash process style developed by our distributor.